Being a maker and teacher, I am always looking for great places to learn new things and find inspiration. 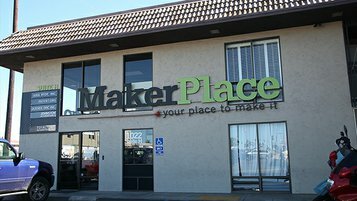 Here in San Diego we are fortunate to have an array of amazing places that support makers. Below is a list of places to go! Want to take your making to the next level? Want to work with more tools? 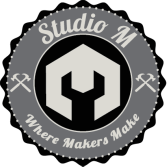 Come check out this amazing place that was created just for makers. The people here are talented and love working with fellow makers. You can take a variety of class that teach you things such as welding, woodworking, screen printing, etc. This is an amazing store to have an adventure in! I literally can spend hours here. You can dig through bulk items, climb through tunnels of machinery and learn about all sorts of hardware. Great place to learn about different nuts, screws, bolts and more. Scott Swaaley (instructor at H.T.H. and GritLab) introduced me to this amazing place. This museum celebrates and honors craftsmanship and shows off a huge variety of projects. From steam engines to doll houses to miniature aircrafts you will be amazed by the wonderful things people are able to craft. Check out the "Do Nothing Machine" video on the left! One of my top museums in San Diego! Not just because of the fantastic art they receive, and the phenomenal curation, but because of their support for younger photographers. M.O.P.A. dedicates a large portion of their gallery to exhibit student work. How can you not love that? ​FabLab is a fabrication laboratory where design, building and learning workshops are offered to people of all ages. The environment is incredibly kind and supportive to all makers, and the projects are incredibly fun! Sign-up for a class!